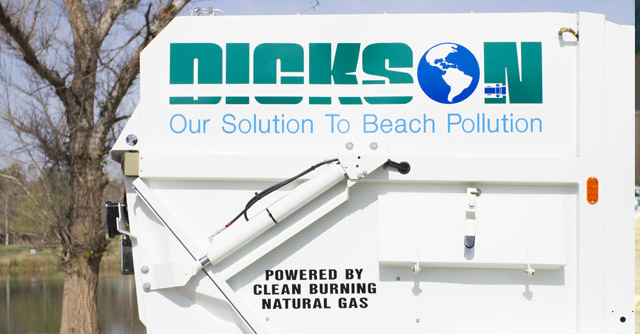 Dickson is a proud sponsor of COLAnow.org, (Clean Ocean Land Air Now). 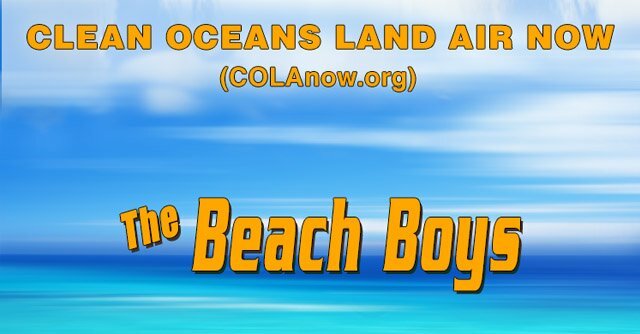 This organization provides Public Service Announcements (PSA) to educate the general public about not contaminating our waterways; streets, rivers, and oceans. You can stop Water Run-off Pollution! Storm & Water Run-off carries pollution through our streets, into our cities, dumping into our water bodies. Pollutants, such as tire rubber, brake dust, exhaust, smog, fertilizers, pesticides, paints, solvents, oil, animal waste, leaves, trash, plastics, and Styrofoam, travel by water and air affecting our health! These pollutants can come from your home, office, or business, and spread throughout the environment. The Solution is Public Awareness of handling these pollutants and Advanced Street Sweeping Technology. Do you sweep and vacuum your home? Yes, of course. This is how street sweeping works for your health and safety, using the purifying Regenerative Air System™. 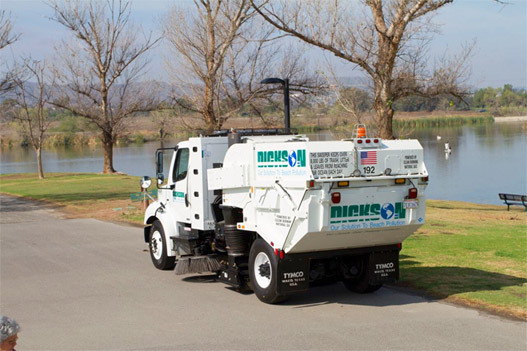 Each street sweeper picks up, nearly everything, for an average of 8000 lbs. of pollution, per day! That could otherwise find its way into your environment and body! You can be part of the solution for a healthy environment, by helping to keep our streets clean. This is because everything on our streets, if not cleaned, can get into our environment, and cause us harm. These contaminates will pollute our environment by getting into our waterways, streams, rivers, lakes, and oceans. Even tree leaves breed bacteria and molds. All this can affect our health. An ounce of prevention sweeps tons of pollution out of our environment. This is why Street Sweeping attacks the problem before pollution can enter our waterways and air. This stops the spread of harmful contaminants, along our streets, before it can get into our homes, throughout our cities, and into our water bodies. 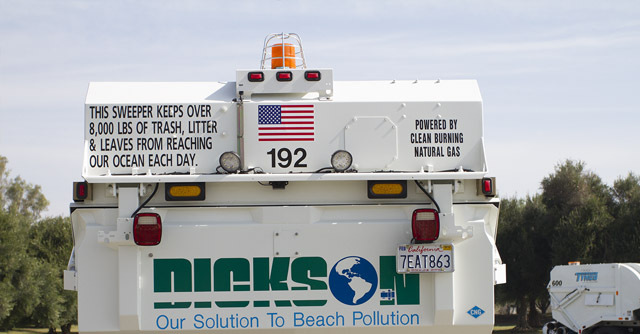 Street Sweeping is the most economical way to stop pollution before it reaches the catch-basins and storm-drains. This effectively reduces health risks and disease. Remember to dispose of pollutants properly and keep them out of our streets. That is our first line of defense against pollution and disease. Then, with advanced Street Sweeping Equipment, we will have cleaner air to breath and a healthier environment to live in. 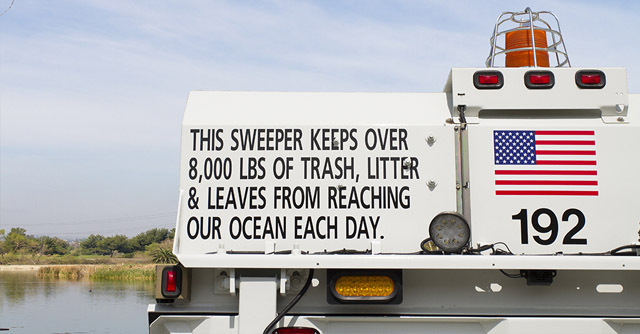 Remember street sweeping is environmental cleaning for safety and health.